Chesapeake Shores has always represented home and family for the O'Briens, but in Lilac Lane, the community extends its healing powers to a woman recovering from overwhelming grief.Single mom Kiera Malone struggled for years to raise her three children in a small town on the coast of Ireland. Just when she's let down her guard and allowed herself to love again, her fianc suffers a fatal heart attack and leaves her alone yet again. Overwhelmed by her loss, she's persuaded to visit her father, Dillon O'Malley, and her daughter, Moira O'Brien, in Chesapeake Shores. 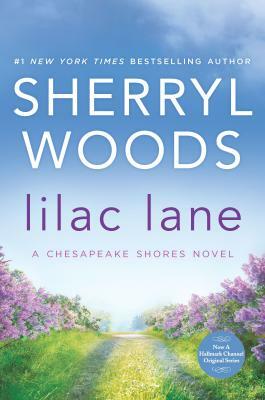 With the promise of family ties and a job at O'Brien's, her son-in-law's Irish pub, she takes what seems like the biggest risk of her life.As it turns out, though, crossing the ocean is nothing compared to moving into a charming cottage on Lilac Lane, right next door to Bryan Laramie, the moody chef at O'Brien's, who doesn't do anything the way Kiera believes it should be done. Their kitchen wars quickly become the stuff of legend in Chesapeake Shores, and the town's matchmakers conclude that where there's heat, there's sure to be passion.As these two deal with their wounded pasts and discover common interests, they might just find the perfect recipe for love.